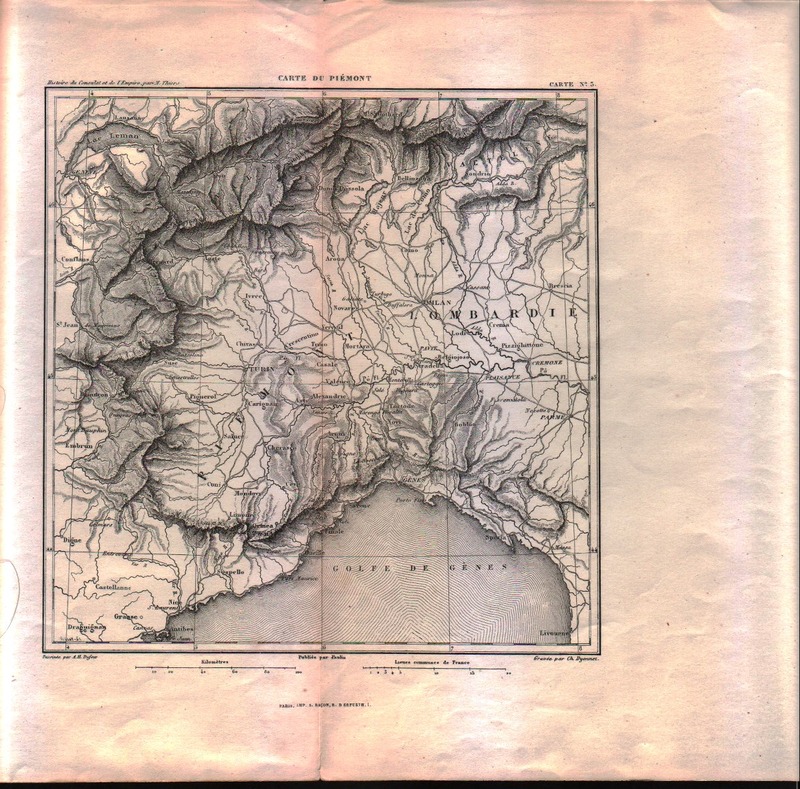 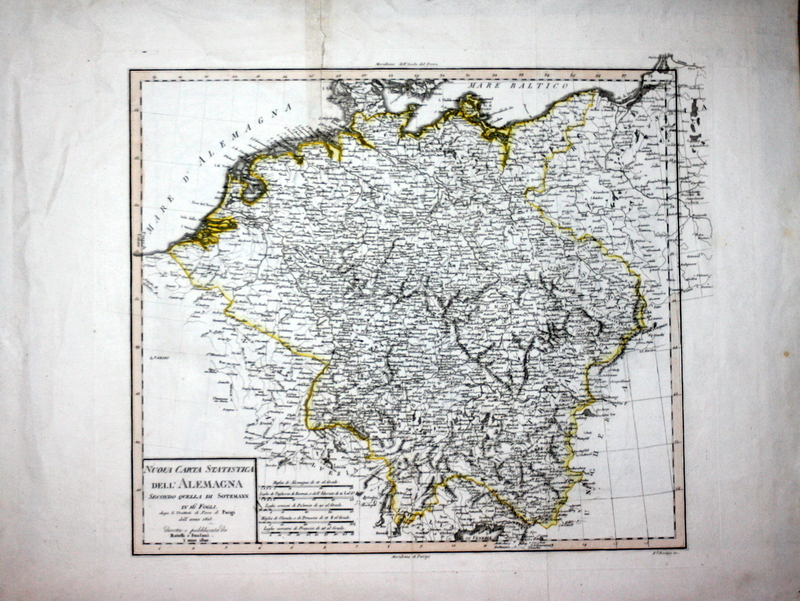 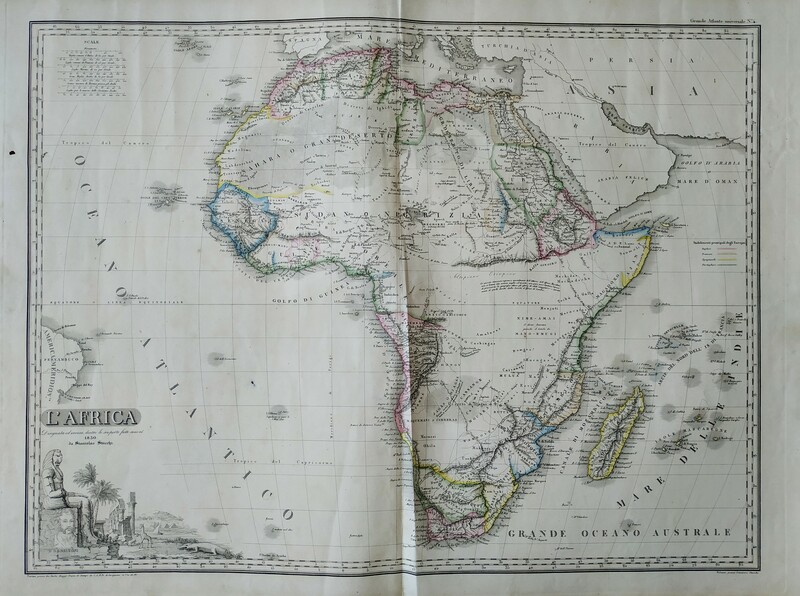 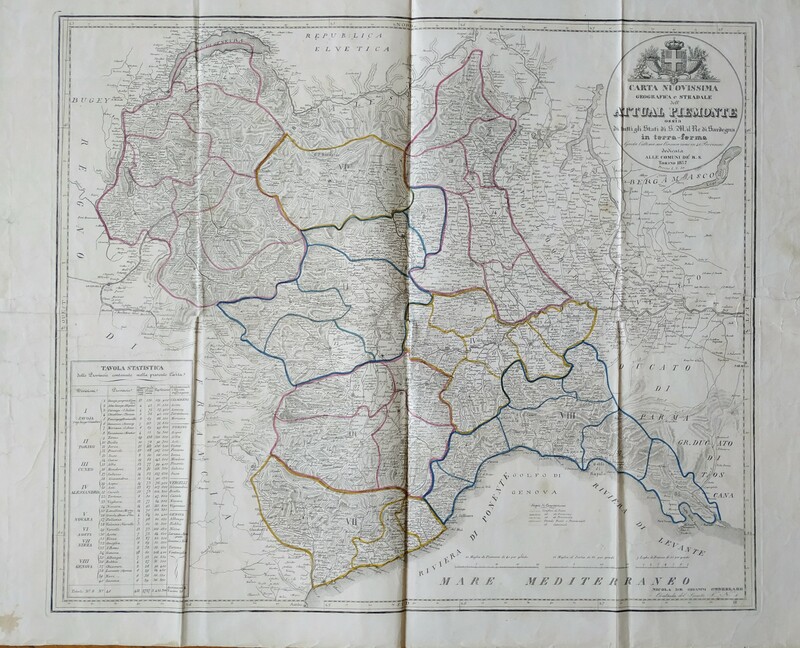 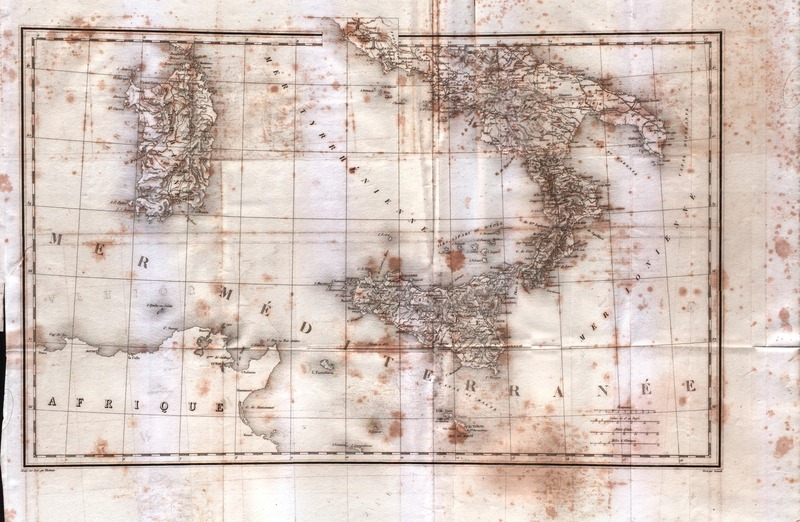 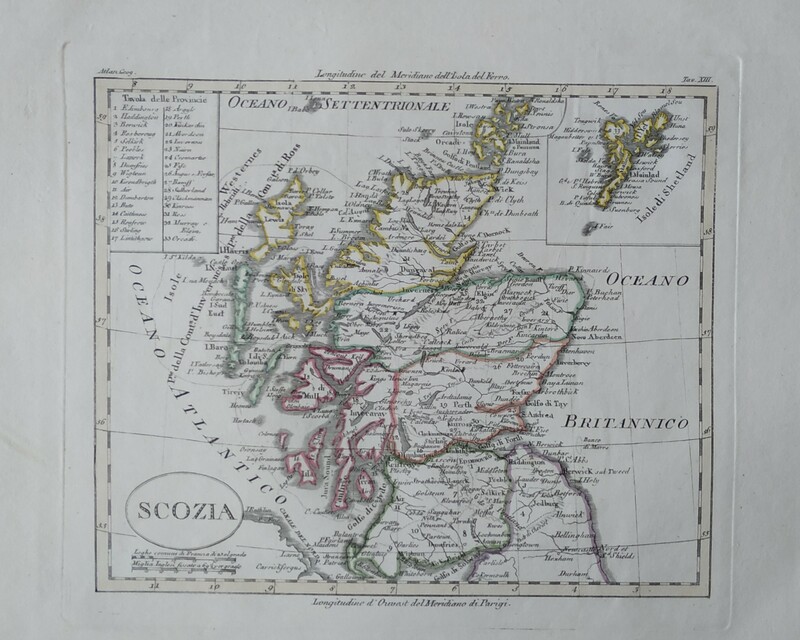 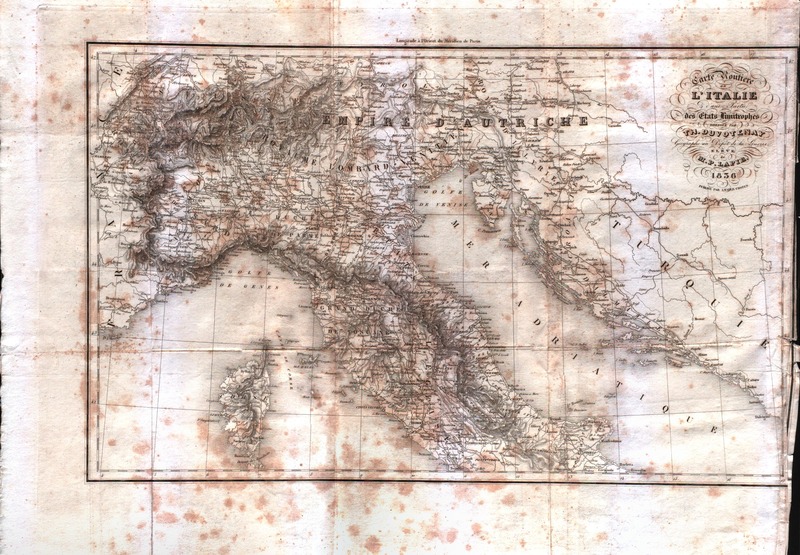 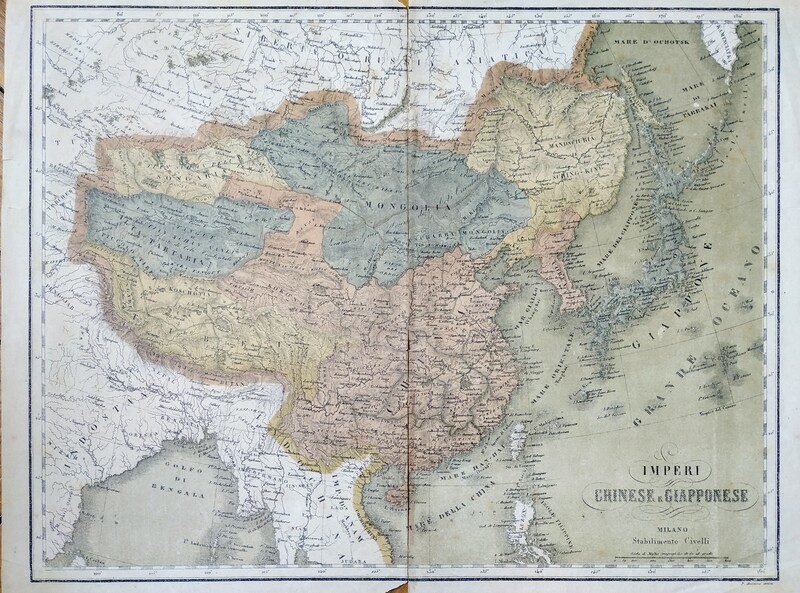 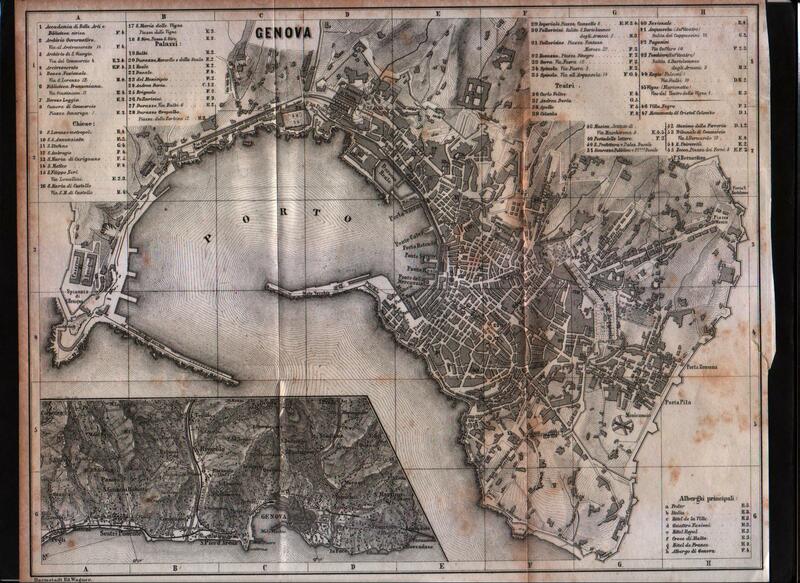 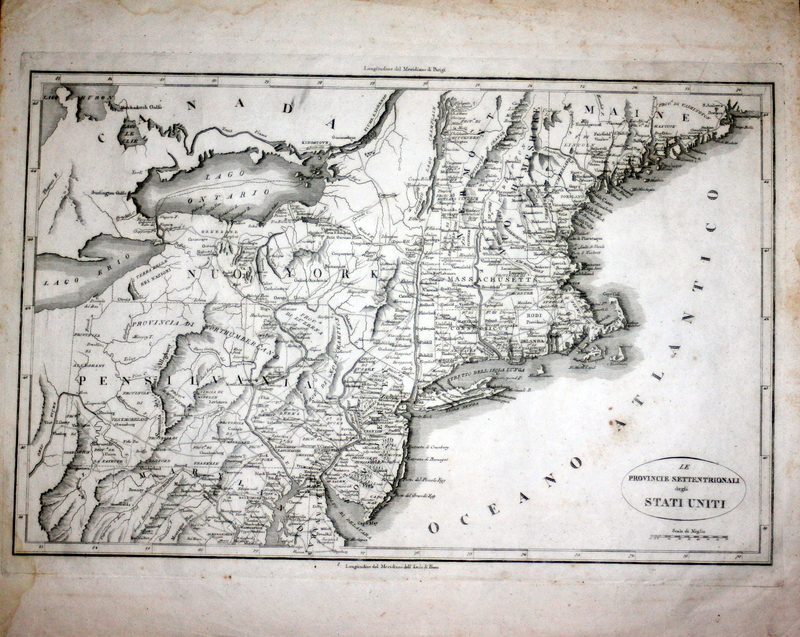 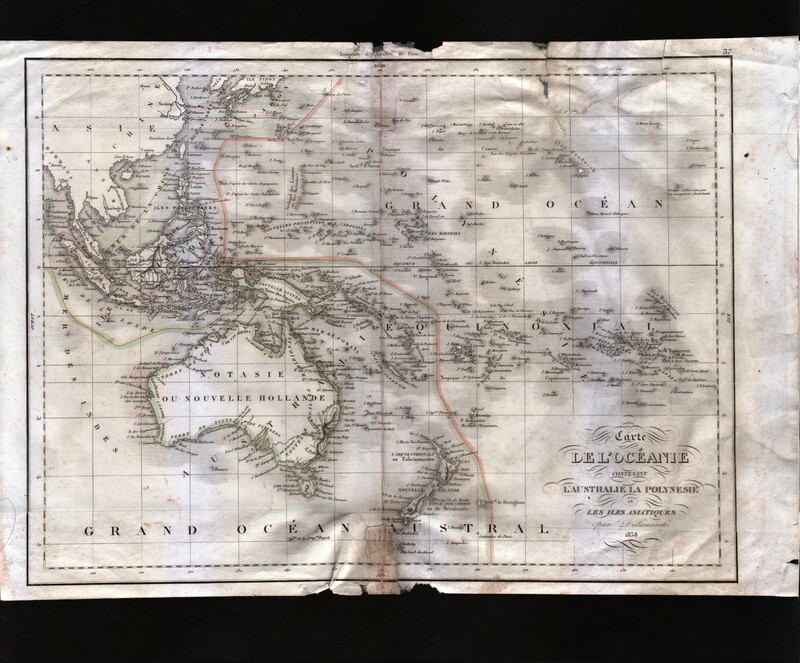 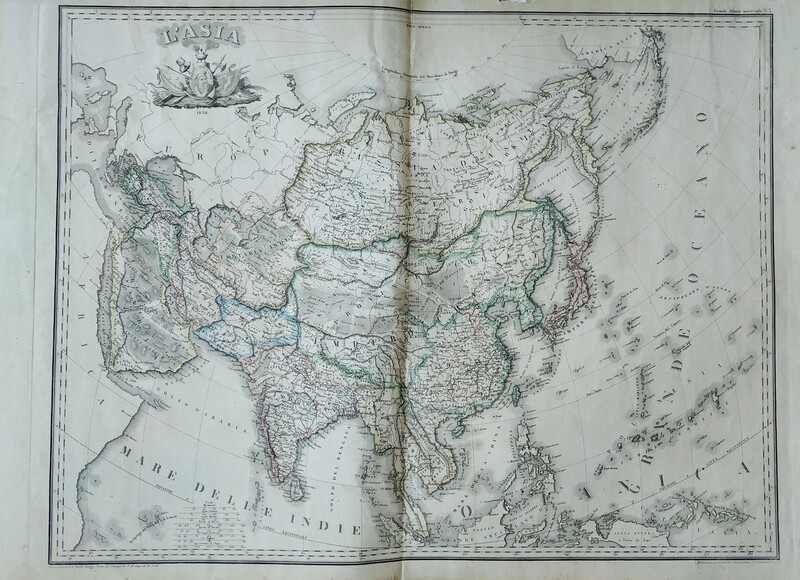 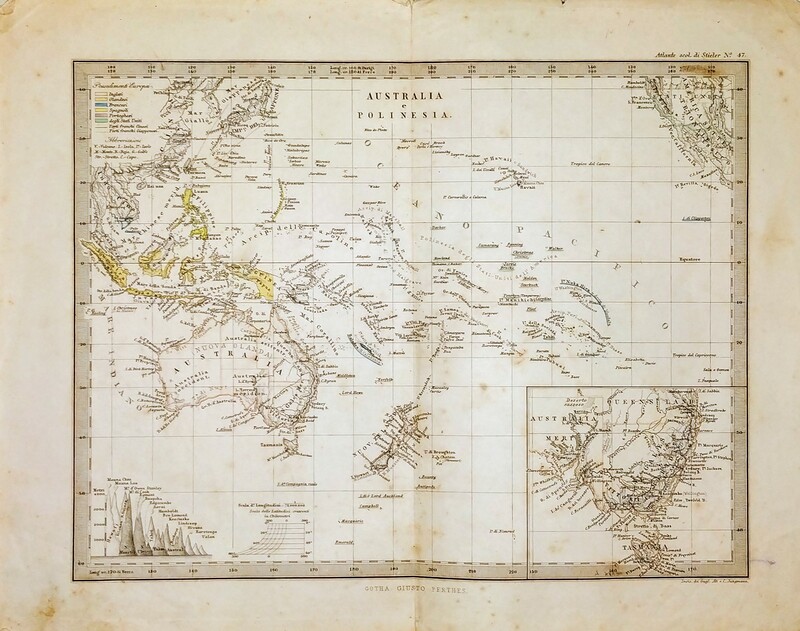 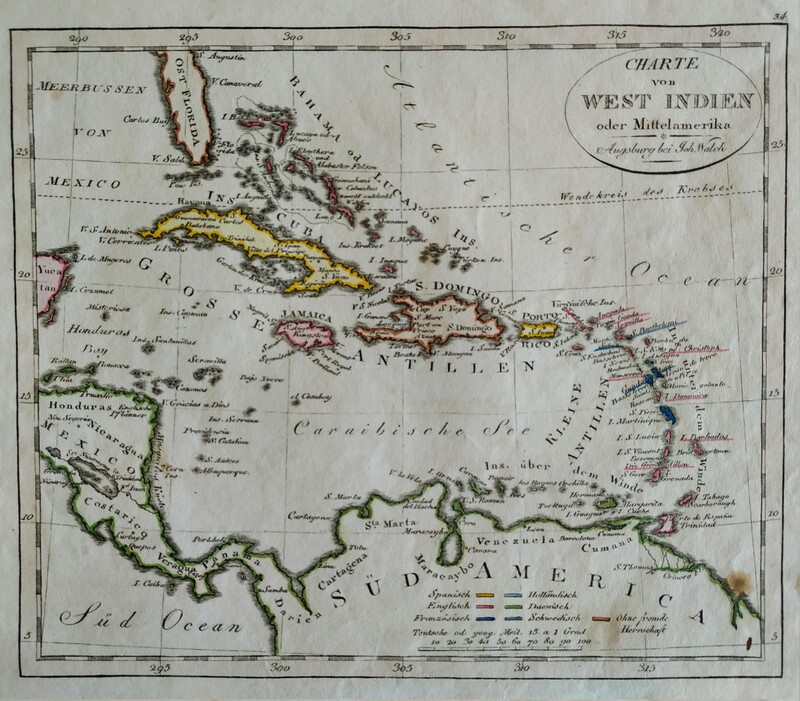 Printed by Carlo Rossari from an unknown atlas. 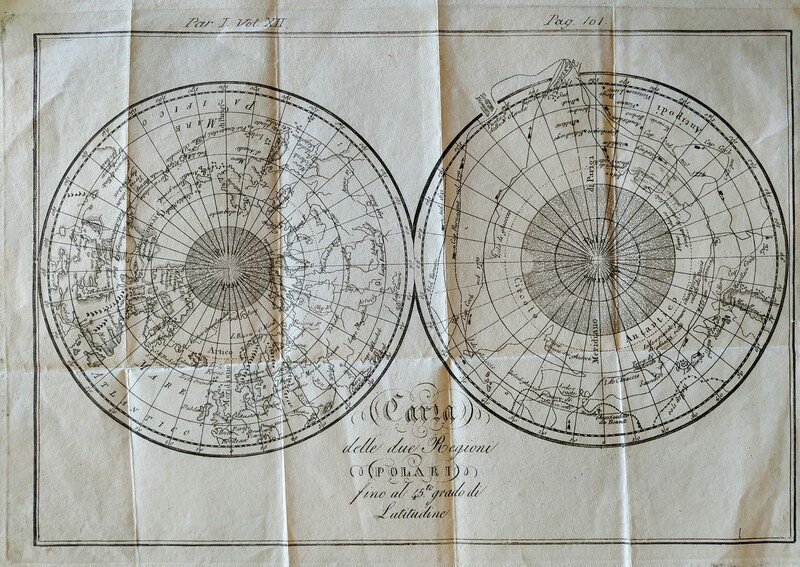 [mint/excellent/very good/GOOD/fair/mediocre/poor] It has a small hole in the center. 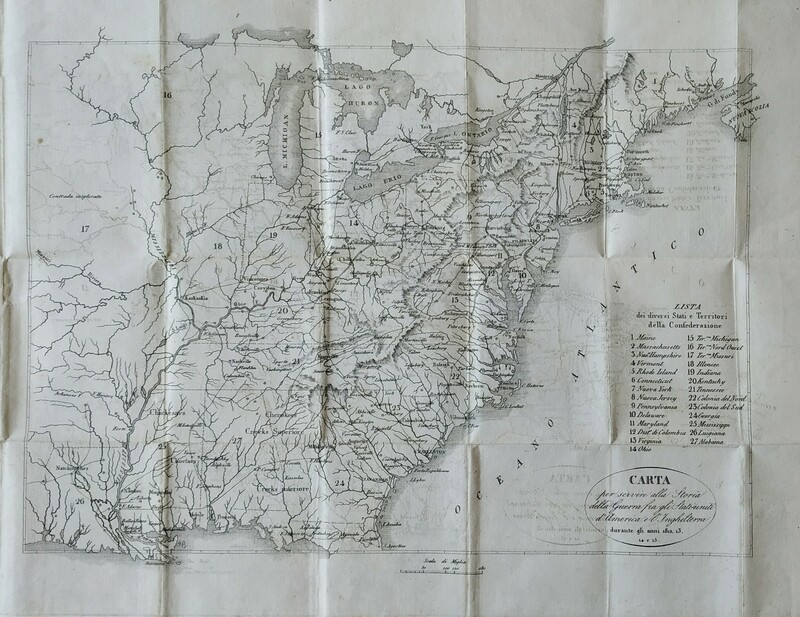 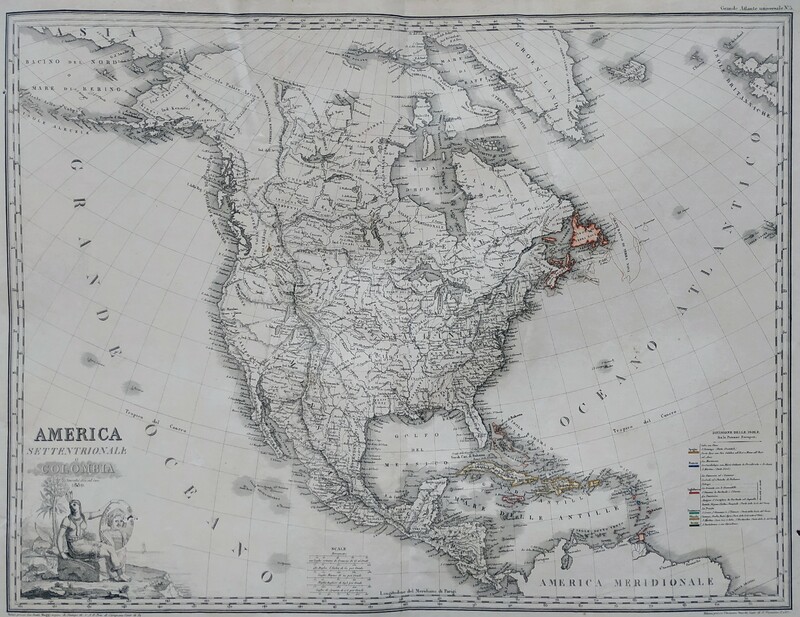 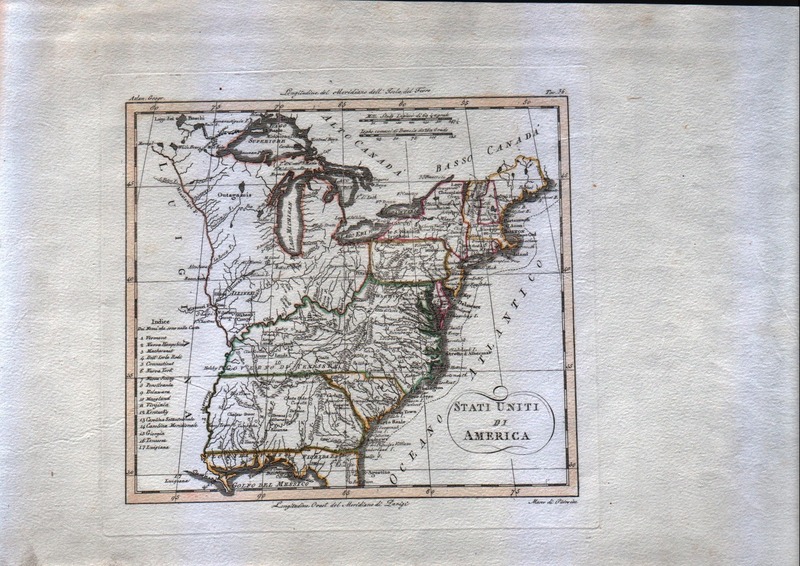 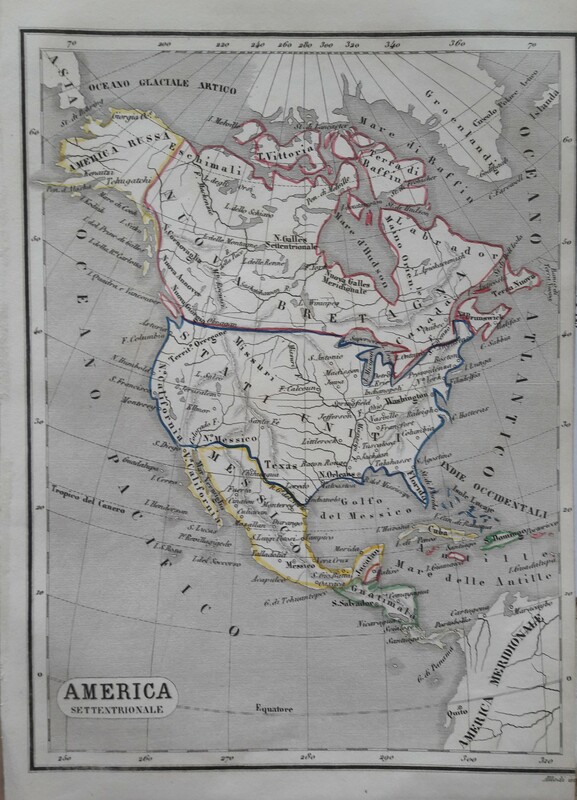 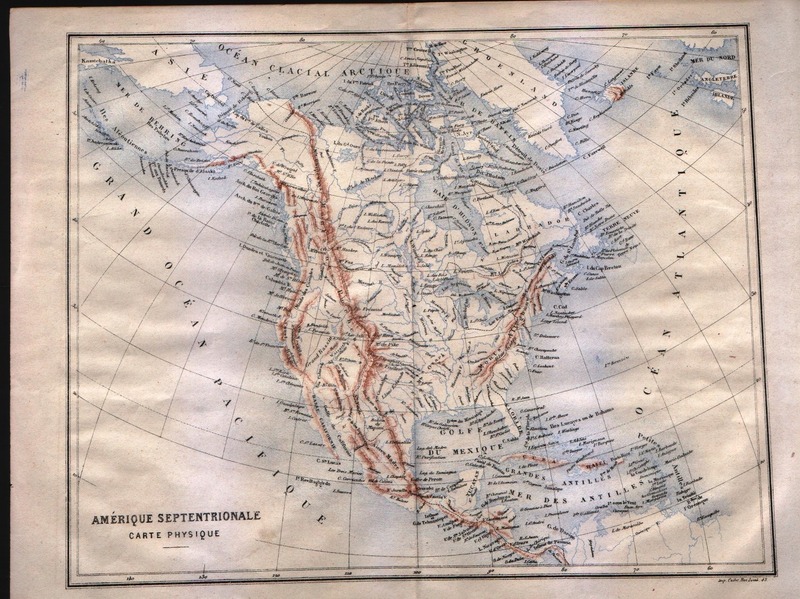 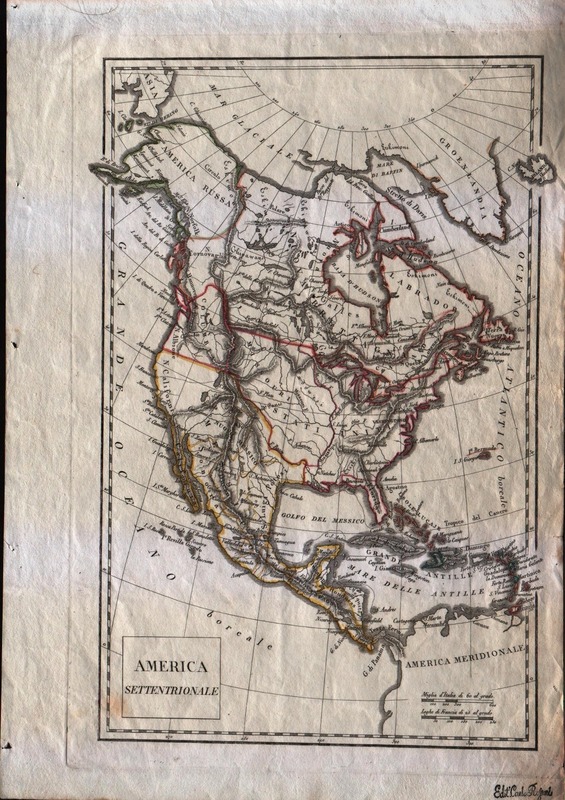 Italian map of North America. 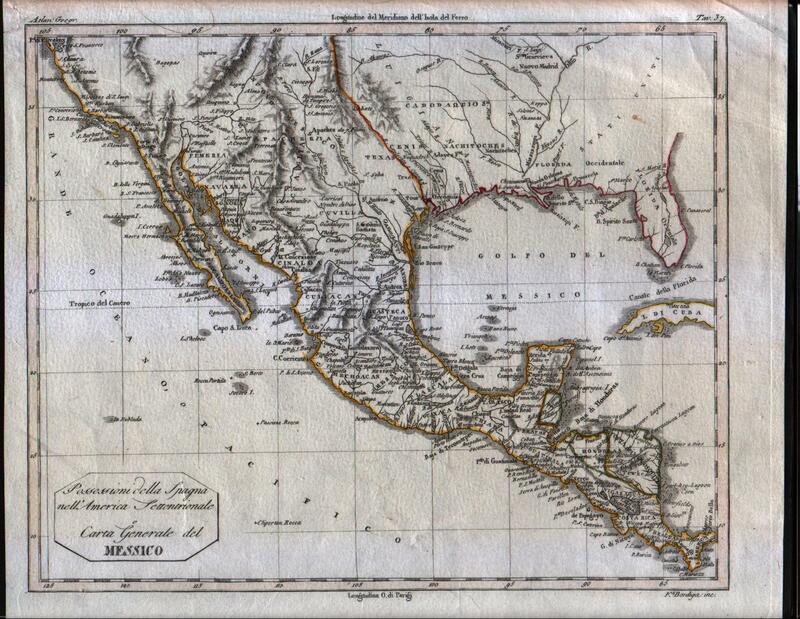 Texas is still part of Mexico. 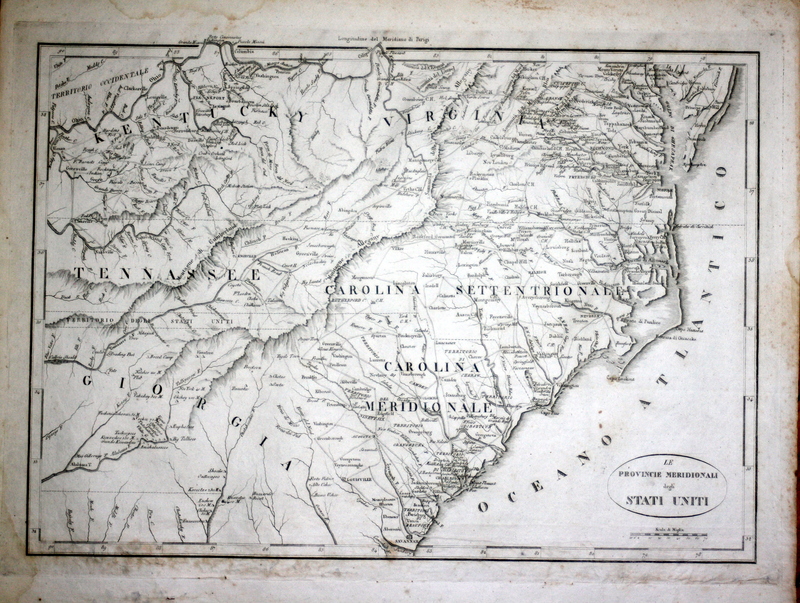 Note the Columbia borders. 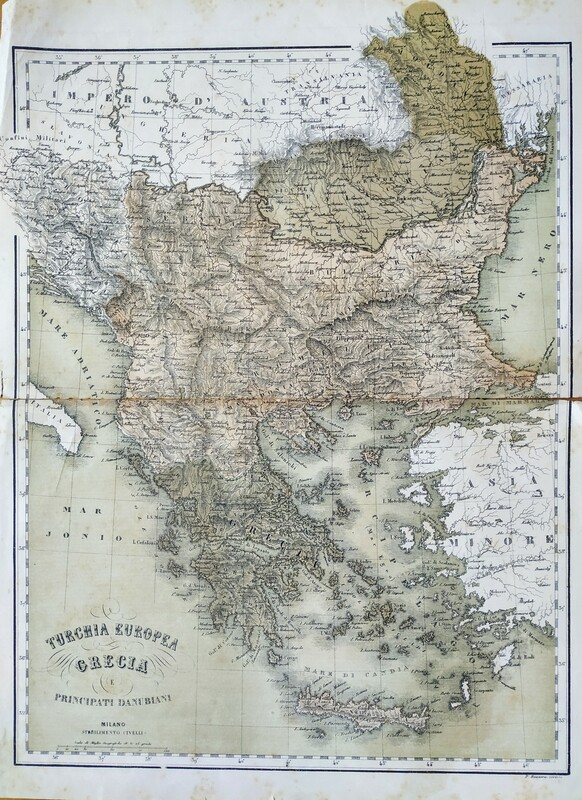 [mint/excellent/very good/good/FAIR/mediocre/poor] The map has been repaired. 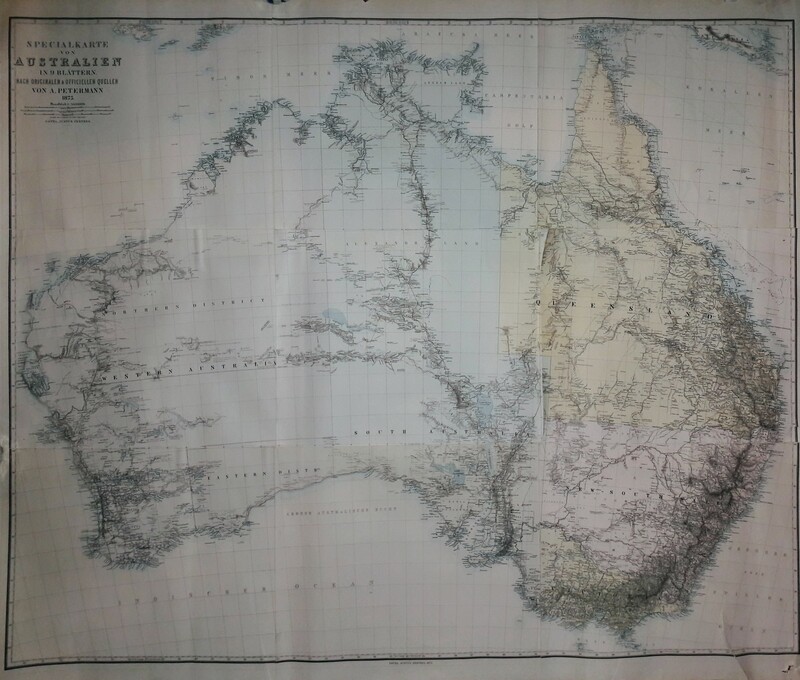 The upper rigth corner was cut off.